The Princess Grace Foundation-USA has announced the winners of the 2012 Princess Grace Awards, which honor artists who show excellence and promise in the disciplines of theater, dance, choreography, and film. The foundation and awards were created 30 years ago to continue the legacy of Princess Grace (Kelly) of Monaco, who as an actor, humanitarian, and patron of the arts helped emerging artists pursue their goals. The Foundation's mission is therefore "to support emerging artists in theater, dance, and film through the awarding of scholarships, apprenticeships, and fellowships." According to the foundation, this year's 25 winners "exemplify both classical and experimental artistic disciplines and, while still considered emerging talent, already show exceptional promise in their areas of expertise." The foundation's financial support assists their theater and dance studies, helps pay their artistic fees at non-profit theater and dance companies, and helps support their thesis film projects. Students are eligible for scholarships, while emerging artists working in companies qualify for apprenticeships and fellowships. A playwriting fellowship is available for individual artists through a residency at New Dramatists in New York City, which includes the opportunity to have the winning play be licensed and published by Samuel French, Inc. PGF-USA also offers additional funding to companies hosting an Awards winner. 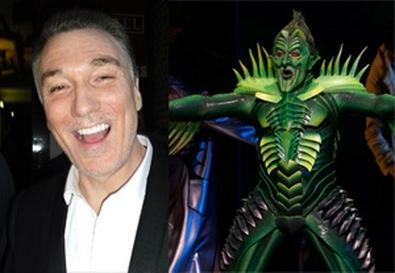 Broadway actor Patrick Page ("Spider-Man: Turn Off the Dark") and sound designer Darron L. West ("Peter and the Starcatcher," "Chinglish") will both receive the special Princess Grace Statue Award, which is given to past Princess Grace Awards winners who have distinguished themselves in their artistic disciplines since receiving their initial award. (Page was first recognized in 1988, and West in 1997.) The Statue Award includes a $25,000 cash prize and a bronze statue of Princess Grace created by Dutch artist Kees Verkade. This is also the inaugural year of PGF-USA's Princess Grace JustFilms Documentary Awards, made possible by the Ford Foundation's JustFilms program. These funds support social justice documentary film projects, with an emphasis on filmmakers and films focused on South Asian and Southeast Asian communities. The winners will receive their awards in the presence of the Prince and Princess of Monaco at the 30th Anniversary Princess Grace Awards Gala Oct. 22 at Cipriani 42nd Street in New York City. The full list of this year's Princess Grace Awards winners is below. Prince Rainier III of Monaco founded the not-for-profit, publicly-supported Princess Grace Foundation-USA in 1982 in honor of his wife, Princess Grace (Kelly). More than 750 awards have been given since the charitable foundation's inception, with prizes totaling more than $9.5 million. Past Princess Grace Awards recipients in film include Cary Joji Fukunaga (director of "Sin Nombre"), Stephen Hillenburg (creator of "SpongeBob SquarePants"), and Greg Mottola (director of "Adventureland" and "Superbad"). Theater recipients include Tony Award-winning director Anna D. Shapiro, Pulitzer- and Tony Award-winning playwright Tony Kushner, and Academy Award winner Eric Simonson. Dance/Choreography recipients include Alvin Ailey American Dance Theater Artistic Director Robert Battle; American Ballet Theatre's Gillian Murphy, Isabella Boylston, and Sarah Lane; and choreographers Kyle Abraham and Camille A. Brown.